If you are interested in plastic surgery or aesthetic procedures abroad, look no further. The Milo Clinic provides the most comprehensive, safe and trusted arrangements for procedures outside the UK. We have the best Vaser Lipo liposuction centre in Europe with the best available UK and Croatian surgeons, and yet with prices which are as much as 30-60% cheaper than in the UK for this popular procedure which shapes the body amazingly like nothing else and using fat transfer enhances the breasts naturally and beautifully. If you want to have an operation such as a nose operation (rhinoplasty), an ear operation (otoplasty), face lift, upper eye lid surgery, breast augmentation or indeed any of the minimally invasive aesthetic procedures available at the Milo clinic in Harley Street, Milo Clinic is the number one clinic in the UK to help you make the dream of plastic surgery abroad possible. We do this by referring you to Poliklinika Milojevic in Zagreb, which although not directly connected to Milo clinic, is one of the most modern aesthetic surgery clinics in Europe, and is also owned by Dr Milojević himself. We also refer you to hand-picked top plastic surgeons in that country, specialists for each chosen procedure. As an interesting historical fact is that Prof Bosko Milojevic, the father of Dr Nick Milojevic, is the founder of European plastic surgery, having opened the first private Plastic Surgery clinic in Zagreb back in 1967. This was the first such clinic in central Europe, so the tradition and quality of plastic surgery in Croatia is undenied and second to none. Why choose to have plastic surgery or botox abroad? Going abroad for plastic surgery or botox will make procedures available to you for as much as 30-60% cheaper than the UK prices and yet; your surgeons will be of the highest possible standard, equal to some of the top surgeons in this country. With the lower prices, you can have your procedure and a great holiday for a price which can often be lower than the equivalent procedure costs alone in the UK. By going abroad, by the time you return to the UK you will be side-effect free, and nobody will know that you have had anything done. They may simply think that the holiday did you a lot of good! Why is Croatia the best choice for you? One of the biggest criticisms of plastic surgery in other countries and through other organisations, is that once you return to the UK you have no follow-up or aftercare, especially if anything should go wrong. At the Milo clinic based in Harley street, Dr Milojevic himself and our staff at the Milo clinic, will help with any of the necessary post-treatment communication with the surgeons in Croatia, once you return from your procedure in Zagreb. So the gold standard experience will continue even when you return. The plastic surgeons in Croatia have been personally researched and chosen by Dr Milojevic himself. We therefore, have absolute confidence and insight into the top standard of quality of our surgeons in Croatia. Some of the aesthetic procedures such as botox and dermal fillers are performed by Dr Nick Milojevic himself out in Croatia. Croatia is a beautiful country, with thousands of islands, lakes, rivers and mountains to explore, so going on a wonderful holiday before your procedure could be a perfect match. The procedures will be performed in the capital of Croatia Zagreb, which is only 1 and a half hours drive from both the Austrian alps and the Adriatic sea. We can make all your travel arrangements including flights and accommodation, as well as an arranging any trips which you may want to make around Croatia before your procedure. To ensure this is a personalised service from start to finish, call Milo Clinic, UK on (+44) 207 100 1234 or Poliklinika Milojevic, Zagreb directly on +385 (0) 1 485 4441. Please call the clinic most convenient for you and we will take care of everything! 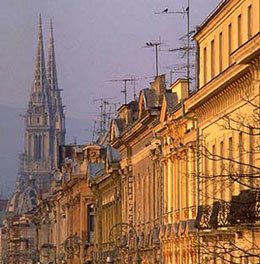 For more information about travel in Croatia click here.